This Pokemon Go Egg Chart includes information on the 2km, 5km, and 10km eggs that you can catch and hatch in the game. Pokemon Go is all about getting out there, and in order to hatch an egg you’ll need to get moving. 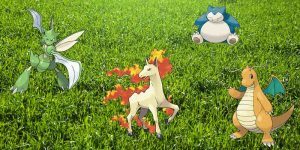 Before talk about how to hatch eggs in Pokemon Go, let’s look at how to get the eggs. The most straightforward way to get eggs is to pick them up at a PokeStop. 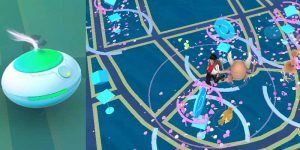 Eggs are among the randomly distributed items at pokestops, so you are not guaranteed to get them every time you visit. It is important to take note that you are allowed to keep a total of nine eggs at any given time throughout the game. There are three different types of eggs available as detailed in the above Pokemon Go egg chart – 2km, 5km, or 10km eggs. 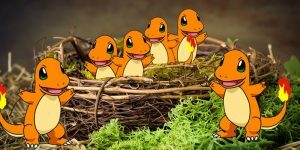 To hatch an egg in Pokemon Go you need to incubate it. To drop an egg in an incubator, swipe right from your Pokemon screen to view your eggs. Choose the one you would like to hatch. Tap the “start incubating” to initiate the hatching process. 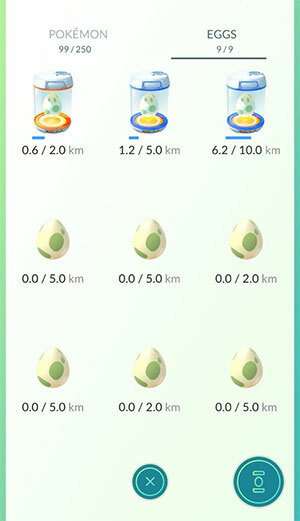 For the eggs to hatch, you need to walk for the specified distance (2km, 5km, or 10km). Eggs come in 2km, 5km, and 10km varieties and the further you travel, the better the content of the egg. Note that you have to keep the app open for the distance to register. You need egg incubators to hatch the eggs in Pokemon Go. You are provided with one incubator at the beginning of them. Incubators can also be found at pokestops, as level rewards, or as in-app purchases. 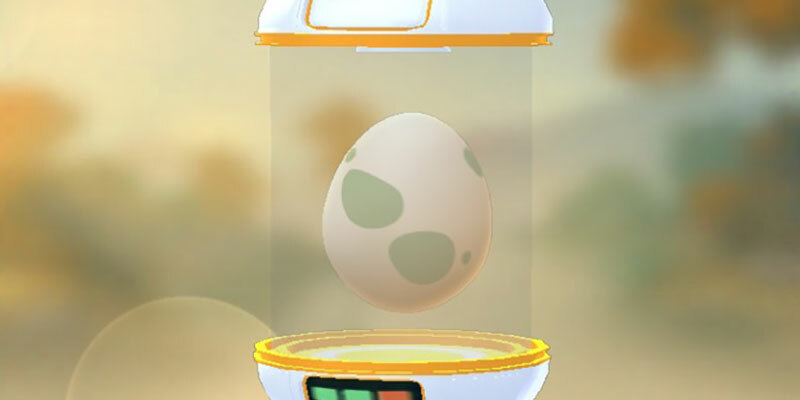 The incubator provided in the beginning of the game can be used an unlimited amount of times, but only on one egg at a time. You can also get more incubators as you play through the game. These incubators have a limited amount of uses, but they will allow you to hatch more eggs at one time. 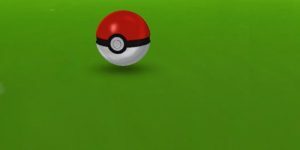 Additional egg incubators will cost you 150 PokeCoins or an equivalent of $1.50 real world money. The incubator and the coins can be bought in the in-game shop. Can You Drive Around to Make the Eggs Hatch Faster? No. 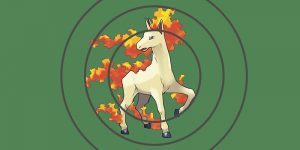 Pokemon Go is not designed to detect movements faster than 20 miles per hour. 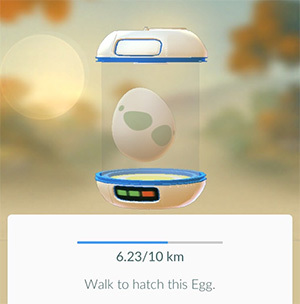 You will have to walk (or run) around for the eggs to hatch. You can also try riding your bike with the phone in the pocket. Some people have even made running workouts with the purpose of hatching eggs. What’s in the Pokemon Go Eggs? What happens after an egg hatches? You will acquire yourself a Pokemon or anything else that the egg harbored including candies and experience points. You will get 200XP for a traveled distance of 2km, 500XP for 5km or 1000 for 10km. 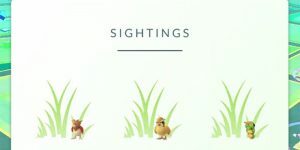 There is a host of other equally interesting things you could be doing in Pokemon go as you wait for the eggs to hatch. 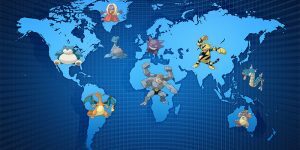 You may choose to defend your team at the gym, visit even more PokeStops or increase your Pokemon tally.